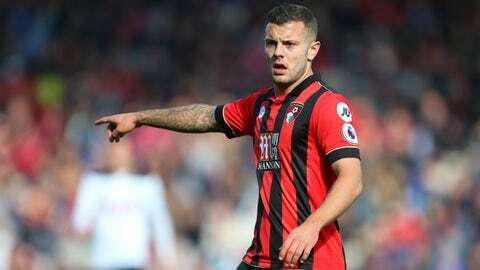 Arsene Wenger hasn't talked to Jack Wilshere since the midfielder left to go to Bouremouth on loan, but he's seen enough that he wants to give Wilshere a new contract. Wenger won't start on contract talks until after the Gunners play the Cherries on Sunday, but after that, they'll get cracking. And that is what it comes down to, as always: injuries. Just because Wenger wants to give Wilshere a new contract doesn't mean he necessarily wants to bring him back to the Emirates next season when his loan is over. Wilshere's current deal with the Gunners expires in 18 months and if he doesn't get a new deal then Arsenal won't be able to sell him for much. A new contract essentially keeps Arsenal's options open. If Wilshere stays fit for the remainder of his loan spell and they think he can contribute to their club next season, he can pull on the Arsenal red again. If they decide they don't want him then they have leverage to sell him, either back to Bournemouth or elsewhere. In the meantime, Wilshere can focus on staying fit.